The decision regarding euthanasia of a beloved pet may be one of the most difficult to make. The most important aspect of this process is to ask "when is the right time"? There are several criteria used to evaluate their quality of life and you should consider them carefully and truthfully. Does the pet still enjoy his or her favorite activities? A scoring system used to assess the quality of life, called the HHHHHMM Scale is also available to assist in better decision making. The letters stands for Hurt, Hunger, Hydration, Hygiene, Happiness, mobility and more good days than bad. If you are considering euthanasia, discuss the pet's condition with your veterinarian prior to making a decision. A consent form must be signed prior to the procedure. The payment should be made prior to the procedure and our care team member will explain to you what is included in the payment. Our staff will assign an exam room for you. Then they will take the pet in to our treatment area to give sedation and place an IV catheter, for easy administration of the euthanasia solution. The care team members will bring your pet back to the exam room and will give you enough time to say goodbye. A DVM will come into the exam room and discuss what is happening next. He or she will proceed with euthanasia, with your permission. You can stay in the room at your own convenience for any amount of time. Grief is a natural part of any loss. Love always continues. There are many online resources available to assist you in the grieving process. 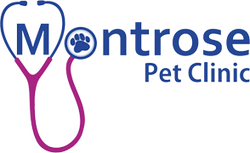 We also offer paw impressions, please speak to one of our staff members and they will be happy to help you create a lasting memory of your beloved pet.